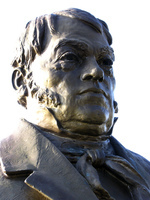 MACKENZIE, Sir ALEXANDER, fur trader, explorer, and author; b. 1764 at Stornoway, on the Isle of Lewis, Scotland, third of four children of Kenneth Mackenzie, of Melbost farm (two miles east of Stornoway), and Isabella Maciver, whose family was prominent in the town; m. 1812 Geddes Mackenzie, and they had three children; d. 12 March 1820 at Mulinearn, near Dunkeld, Scotland. In the 1770s a severe depression developed on Lewis, and in 1774 Kenneth Mackenzie decided to join his brother John in New York. His wife had died while Alexander was still a child. Kenneth sailed for North America with his two sisters and Alexander, leaving both his daughters behind. (Alexander’s older brother Murdoch studied medicine; a terse family record states that he then “followed the sea and was lost on the coast of Halifax.”) Only months after the family’s arrival the American revolution broke out, and Kenneth and John joined the King’s Royal Regiment of New York, raised by Sir John Johnson*. Commissioned lieutenant in 1776, Kenneth served until 1780, when he died suddenly at Carleton Island (N.Y.). Young Alexander had been left in the care of his aunts, who first took him to Johnstown, in the Mohawk valley, where Sir John Johnson had large estates, and in 1778, when conditions in the valley became difficult for loyalists, sent him to Montreal, where he attended school. His schooling was to be brief. The fur trade promised adventure and a profitable future to a sturdy, high-spirited youth, and in 1779 Mackenzie joined Finlay and Gregory, a partnership formed by James Finlay and John Gregory that had been trading in the west since 1773. The firm was reconstituted as Gregory, MacLeod and Company in 1783, when Finlay, a well-known pioneer among Montreal’s British fur traders, retired and was succeeded by Normand MacLeod*. By 1784, when he had been five years in the Montreal office, Mackenzie was anxious to try his hand at trading. Gregory entrusted him with “a small adventure of goods” which he took to Detroit (Mich.). It is evident that he had very favourably impressed his employers, for some months later MacLeod travelled to Detroit to offer Mackenzie a share in the business. The offer was conditional upon his willingness to go to Grand Portage (near Grand Portage, Minn.) in the spring of 1785 and serve in a post in the far west, a proviso quite acceptable to Mackenzie. This expansion of the firm was prompted by radical changes taking place in the fur trade. Shortly after Canada was ceded to Great Britain in 1763, British traders from Montreal, like the French before them, ventured into what is now western Canada and began to extend their quest for furs farther and farther west. James Finlay built a post in the Saskatchewan valley in 1767 or 1768, and in 1778 Peter Pond reached the Athabasca River and discovered the richness of the fur resources in the surrounding area. As it happened, this greater interest and activity in the northwest developed at a time when the American revolution was threatening to deprive Montreal of its important stake in the trade in the area south of the Great Lakes. Detroit and Michilimackinac (Mackinaw City, Mich.), through which much of it had been channelled, would probably be in American territory, and it was certain that an independent United States would soon reserve the country south of the lakes for its own nationals. The Montreal traders who had been active in that area turned therefore to the northwest as an alternative source of furs. Sharply increased competition in the northwest was the natural result, and it quickly became evident that this could be both costly and hazardous – costly because traders would often be faced with the necessity of outbidding one another, and hazardous because if furs could not be secured by fair methods there was always the temptation, in an unpoliced wilderness, to resort to foul means. Much of the trouble arose because the trade was carried on by individuals or small partnerships. Wider agreements were the obvious solution, and these soon began to come into being. Most notable of them was the pooling of nine partnerships in 1779, a step toward a longer-term agreement and the formal organization of the North West Company in the winter of 1783–84. It was in response to this strong competitor that Gregory, MacLeod expanded its own partnership from two members to five the following winter; the company was joined by Peter Pangman and John Ross in addition to Mackenzie. The small supporting staff included Alexander’s cousin Roderick McKenzie*, a few months out from Scotland, who served as an apprentice clerk. When the partners met at Grand Portage in June 1785, Mackenzie himself was assigned to the English (Churchill) River department, with headquarters at Île-à-la-Crosse (Sask.). There he would be stationed until 1787. The ambitions of the NWC were to play an important part in Mackenzie’s later career. From the very beginning it was anxious to expand the scope of its trading right across the continent. As early as October 1784, in a memorial submitted to Governor Frederick Haldimand of Quebec, the company declared its intention “of exploring at their own Expence, between the latitudes of 55, and 65, all that tract of country extending west of the Hudson’s Bay to the North Pacific Ocean.” Ignoring the monopoly rights of the Hudson’s Bay Company, it went on to suggest “the propriety of granting to the Company an exclusive right . . . of the Trade to the North-West . . . for Ten-Years” in return for opening up new country. Nothing came of this proposal, but the company seized every opportunity to increase its knowledge of western geography. 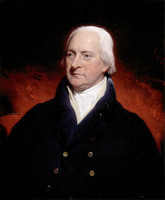 Its immediate source of information was Peter Pond, who had been included in the 1783–84 partnership. By 1785, guided by his own travels and by his questioning of the Indians, Pond had drafted a map that included the country north of Lake Athabasca. Correct in essentials, it showed a river flowing north to Great Slave Lake, from which a second river ran on to the Arctic Ocean. Later, when he had had access to accounts of the third Pacific voyage of James Cook*, and had learned of the inlet in Alaska that Cook had mistaken for an estuary and had named Cook’s River, Pond ignored his native informants, indulged in wishful thinking, and jumped to the conclusion that this was the mouth of the large river that flowed out of Great Slave Lake. In a map drawn in 1787, small streams still lead towards the Arctic, but the major river flows westwards, towards the Pacific. And in a second major miscalculation, which was to be important to Mackenzie, Pond grossly underestimated the distance from Athabasca to the Pacific. No accurate calculations of longitude had yet been made in the area around Lake Athabasca, and he placed the lake some 700 miles west of its true position. There was a streak of violence and bad temper in Pond’s nature, which was to cut short his career in the fur trade. He was already suspected of having been responsible for the death in 1782 of a rival trader, Jean-Étienne Waddens*, and in 1787 a scuffle resulted in the shooting death of John Ross, whom Gregory, MacLeod had sent to compete with Pond in the Athabasca country. Once again competition had erupted into violence. Some measure to reduce dangerous rivalry was clearly desirable, and the immediate result of Ross’s death was the amalgamation of Gregory, MacLeod and the NWC. The enlarged partnership consisted of 20 shares, and Mackenzie received one of the four assigned to the four surviving partners of Gregory, MacLeod. Pond was not excluded, but it seems to have been agreed that the season of 1787–88 would be the last he would spend in the west. He returned to his post on the Athabasca River, arriving on 21 Oct. 1787, Mackenzie going with him in the dual capacity of second in command and understudy. Although Mackenzie was convinced that Pond was a murderer, the two men managed to agree fairly well. Pond was both an accomplished trader and a born explorer, and Mackenzie was anxious to learn all he could from him. Mackenzie’s headquarters in Athabasca had been at what became known as the “old establishment,” founded by Pond in 1778 some 40 miles up the Athabasca River. In 1788 he sent his cousin Roderick, now serving with him, to build the first Fort Chipewyan, on the south shore of Lake Athabasca, where he joined him shortly before Christmas. It was from this new post that Mackenzie set out on his first voyage of discovery on 3 June 1789. His party consisted of four French Canadian voyageurs, a young German, whose presence is unexplained, a Chipewyan Indian known as English Chief*, and sundry native wives and retainers. Travel was slow and difficult in the upper part of the Slave River, where rapids were frequent, and ice delayed the party in Great Slave Lake, but once they entered the Mackenzie River their progress was rapid. The full length of the river, about 1,075 miles, was covered in only 14 days, at an average speed of more than 75 miles per day. For nearly 300 miles the Mackenzie followed the generally westward course that Pond had predicted, but at what is now known as the Camsell Bend the river swung round to the north and continued on, day after day, in that general direction. It became apparent at last that it could not constitute a route to the Pacific. “I am much at a loss here how to act,” Mackenzie wrote in his journal on 10 July, when only two days distant from the sea, “being certain that my going further in this Direction will not answer the Purpose of which the Voyage was intended, as it is evident these Waters must empty themselves into the Northern Ocean . . . .” But he decided to push on “to the discharge of those Waters, as it would satisfy Peoples Curiosity tho’ not their Intentions.” Misty weather made it uncertain for a time whether or not he had actually reached the Arctic Ocean or merely a large lake, but there is no doubt that he reached the sea. He spent four nights on Whale Island (Garry Island, N.W.T. ), off the river’s mouth, which he so named because of the number of white whales seen in its vicinity, and he observed the rise and fall of the tide. The return journey to Fort Chipewyan was begun on 16 July and the party reached the fort on 12 September. They had completed the round trip, totalling over 3,000 miles, in 102 days. Although he had been the first to explore one of the world’s great rivers, and in later years came to take pride in the fact, Mackenzie’s first reaction was one of frustration. When he attended the annual rendezvous of the Nor’Westers at Grand Portage in 1790 he remarked in a letter to Roderick: “My Expedition is hardly spoken of but this is what I expected.” The reaction of the partners is understandable; most of them were accustomed to making long and arduous overland journeys, and Mackenzie’s explorations, having failed to find a route to the Pacific, were of no immediate practical use to the NWC. But it cannot be said that his worth was not appreciated; a new North West agreement, which was to come into effect in 1792, gave him two of the 20 shares in the company in place of the one he had held since 1787. He is said to have dubbed the Mackenzie the River Disappointment, but this is doubtful. The original of the letter in which he is alleged to have used the name has disappeared, and it occurs in only one of four surviving transcripts of this letter; in the other three the river is referred to as the Grand River. Mackenzie had great physical strength, determination, and stamina; he tells us that he possessed “a constitution and frame of body equal to the most arduous undertakings.” As the speed at which he travelled indicates, he was a hard driver of men. In Joseph Burr Tyrrell*’s view he was “a man of masterful temperament, and those who accompanied him, whether white men or natives, were merely so many instruments to be used in the accomplishment of any purpose which he had in hand.” This judgement is unduly harsh. 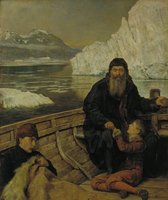 When there was some doubt whether he would reach the Arctic he noted in his journal: “My Men express much sorrow that they are obliged to return without seeing the Sea, in which I believe them sincere for we marched exceeding hard coming down the River, and I never heard them grumble; but on the contrary in good Spirits . . . and declare themselves now and at any time ready to go with me wherever I choose to lead them.” This was no exaggeration, for two of the four voyageurs who had travelled to the Arctic became members of his second expedition. He had watched over the welfare or his men, had made great efforts to protect them from dangers along the way, and had brought all of them home safely. Mackenzie had a second expedition in mind before the first had ended. He had encountered relatively few Indians and no Inuit, but when returning up the river he had tried to question any natives he met in the hope that they could give him information about rivers west of the mountains, which presumably would lead to the Pacific. Mackenzie had become aware of certain deficiencies in his knowledge and equipment that he was anxious to make good before he explored further. His observations of latitude, usually south of the true position by from 7 to 15 minutes, served well enough, but he had no instruments that would enable him to ascertain longitude. This shortcoming was emphasized, perhaps in a somewhat arrogant and embarrassing way, by Philip Turnor*, a qualified surveyor in the service of the HBC, whom he happened to meet at Cumberland House (Sask.) in June 1790. Turnor noted at the time: “Mr McKensie says he has been at the Sea, but thinks it the Hyperborean Sea but he does not seem acquainted with Observations which makes me think he is not well convinced where he has been.” Mackenzie was in fact perfectly aware of where he had been, but the encounter with Turnor doubtless strengthened his determination to pay a private visit to London in the winter of 1791–92, where he could receive instruction and acquire equipment. He was nevertheless somewhat scantily outfitted when he set out on his second expedition in the autumn of 1792, as he seems to have had only a compass, a sextant, a chronometer, and a large telescope. In spite of the relative lack of equipment, the accuracy with which Mackenzie plotted his position from time to time was remarkable. Fortunately he was now aware of the great distance that would have to be covered to reach the Pacific, for Pond’s mistake in placing Lake Athabasca had been detected: the true longitude of Fort Chipewyan, ascertained by Turnor, could now be compared with Cook’s earlier readings on the coast. On his second venture, Mackenzie had decided to ascend the Peace River to its source in the mountains, and then cross the divide in the expectation that he would find some river on the western slope that would lead him to the Pacific. On 10 Oct. 1792 he left Fort Chipewyan and started up the Peace with the intention of building an advance base where he could spend the winter. This was Fort Fork (Peace River Landing, Alta), near the junction of the Peace and Smoky rivers. In the spring he had difficulty in mustering a crew, but was able to leave at last on 9 May 1793. His account of the departure from Fort Fork illustrates the astonishing capacity of a fur trader’s birchbark canoe: “Her dimensions were twenty-five feet long within, exclusive of the curves of stem and stern, twenty six inches hold, and four feet nine inches beam. At the same time she was so light, that two men could carry her on a good road three or four miles without resting. In this slender vessel, we shipped provisions, goods for presents, arms, ammunition, and baggage, to the weight of three thousand pounds, and an equipage of ten people.” As second in command Mackenzie had chosen Alexander MacKay; two Indians, intended to act as interpreters and hunters, and six voyageurs completed the party. He was unfortunate in a number of the crewmen he had had to accept. Only a few days after the start some of them were so appalled by the portages encountered at the Peace River canyon that they urged Mackenzie to abandon the whole enterprise. Despite this and many later complaints he was able to keep the party moving and to maintain discipline and some semblance of morale. By the end of May he had reached the point at which the Parsnip and Finlay rivers unite to form the Peace. He chose to ascend the Parsnip, following the advice of an old Indian who told him that a carrying place at its headwaters would lead over a height of land to a large river flowing to the west. This statement proved correct, but travel in the small streams and lakes that linked the larger rivers on either side of the mountains turned out to be laborious, notably in James Creek, to which Mackenzie gave the more appropriate name of Bad River. 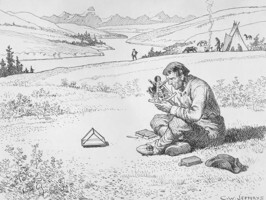 At last on 18 June he descended the McGregor River and reached the Fraser; being unaware of its existence, he jumped to the conclusion that he must have reached the upper waters of the Columbia. Four days later he had travelled down it as far as the future site of Fort Alexandria (Alexandria, B.C. 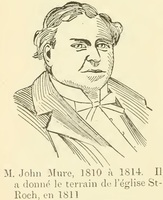 ), which was named after him. There he was able to hold discussion with the Indians, who strongly advised him to proceed no farther. They informed him that parts of the river were virtually impassable, and that its mouth was still far to the south. In their view much the best way to reach the ocean was by a considerably shorter route overland. He should go back up the Fraser to the vicinity of its large tributary, the West Road River, and follow its valley westward. It was not in Mackenzie’s nature to turn back in the face of difficulties, and he feared that such a change of plan might be construed as a retreat and damage the morale of his party. “In a voyage of this kind,” he noted in his journal, “a retrograde motion could not fail to cool the ardour, slacken the zeal, and weaken the confidence of those, who have no greater inducement in the undertaking, than to follow the conductor of it.” Such, he added, were the considerations by which his mind was “distressed and distracted.” He decided nevertheless that the advice of the Indians should be followed, and the trip back to the West Road began on the next day, the 23rd. By 4 July the canoe and surplus supplies had been cached near the junction of the Fraser and West Road rivers, and the heavily laden party began the trek to the coast. Mackenzie’s own load consisted of pemmican and other provisions weighing about 70 pounds, besides arms, ammunition, and his telescope. He travelled west in or near the valley of the West Road River, following well-beaten Indian trails most of the time. Later he ascended Ulgako Creek, a tributary of the West Road, and after leaving it continued on westward to the Tanya Lakes. Here Indian reports indicated that he could either go north to the Dean River or turn south to the Bella Coola. He chose the latter, and on his way south crossed Mackenzie Pass, at 6,000 feet the highest point reached in any of his travels. On 17 July he descended into the deep gorge of the Bella Coola and was greeted by Bella Coola Indians at a small settlement that he named Friendly Village. Two days later, having travelled down the turbulent river, he came upon six curious Indian houses built on stilts, about 25 feet high. “From these houses,” Mackenzie wrote, “I could perceive the termination of the river, and its discharge into a narrow arm of the sea.” In this singularly undramatic fashion he chronicled the conclusion of the first journey across North America north of Mexico. Although small alarums had occurred, thus far Mackenzie had succeeded in maintaining good relations with the Indians he had met. By contrast, the Bella Bellas at the mouth of the Bella Coola were anything but friendly, and open clashes were narrowly averted. As a result, little exploring was done after he reached tide-water, but he did secure a canoe and paddle down North Bentinck Arm, into which the Bella Coola flows, and then he proceeded to Dean Channel. There Mackenzie encountered more Bella Bella Indians, who viewed him “with an air of indifference and disdain. One of them in particular made me understand, with an air of insolence, that a large canoe had lately been in this bay, with people in her like me, and that one of them, whom he called Macubah, had fired on him and his friends, and that Bensins had struck him on the back, with the flat part of his sword.” Macubah would seem to refer to George Vancouver*, and it has been suggested that Bensins was Archibald Menzies*, the botanist who accompanied the expedition; but he was not with Vancouver when he explored Dean Channel on 2 June. None of the journals of the expedition mentions any difficulties with the Indians. What would have been a historic meeting between Mackenzie and Vancouver was missed by a little more than six weeks. That night, the 21st, the party slept on a large rock in Dean Channel, and the next morning Mackenzie “mixed up some vermilion in melted grease” and wrote on its southeast face the famous inscription: “Alexander Mackenzie, from Canada, by land, the twenty-second of July, one thousand seven hundred and ninety-three.” The rock has been identified and the words reinscribed upon it in permanent form. Mackenzie began the return journey on 23 July and was back at Fort Chipewyan on 24 August. Once again his speed of travel was phenomenal. Frank C. Swannell, an experienced wilderness explorer, estimates that, when allowance is made for the various delays encountered, Mackenzie’s average day’s travel on the westbound trip, by land and water, was about 20 miles. “The real test of his ability to travel is the return trip over a known route and less heavily burdened, he having left caches behind to secure his return. On foot, from Friendly Village, on the Bella Coola, to the Fraser, he averaged 25 miles a day. The 860 miles by water was made in twenty-four days, including the portages, an average of 36 miles a day.” The total distance covered, outward and homeward, was somewhat more than 2,300 miles. Once again Mackenzie brought his crew home safe and uninjured, and in spite of difficulties with the natives during the second journey, on neither of his great expeditions had he fired a shot in anger. In one respect Mackenzie’s expedition to the Pacific bore an unfortunate similarity to his journey to the Arctic: the route he had pioneered was of no immediate use to the NWC. He had added a huge tract of new country to the map of the world, but the routes that would be followed in later years by fur brigades would be discovered by Simon Fraser* and David Thompson*. But he had no intention of leaving the fur trade. On the contrary, his visit to the Pacific had roused a desire to see the trade organized on far wider and more efficient principles. On his way to Montreal in September 1794, he called on John Graves Simcoe, lieutenant governor of Upper Canada, and outlined the project to him. He proposed that the NWC should participate in a cooperative effort that would involve the HBC and the East India Company. The former would be asked to make available its supply route via Hudson Bay, which could deliver goods cheaply to the heart of the continent; the latter would be expected to modify its monopoly rights in the China trade to permit the marketing of furs shipped from the Pacific coast. The idea was not entirely new; in 1789 Alexander Dalrymple, hydrographer of the East India Company, had published his Plan for promoting the fur-trade, and securing it to this country, by uniting the operations of the East-India and Hudson’s-Bay companys. Dalrymple shared Mackenzie’s interest in both the Pacific coast and the river that flowed out of Great Slave Lake and, partly as a result of his urging, expeditions to explore both were planned by the British government to begin in 1790. Threatened war with Spain delayed the expedition by sea, which sailed eventually in 1791 under Vancouver. Command of the land expedition was to have been given to Captain John Frederick Holland*, who arrived at Quebec in the fall of 1790 only to hear that Mackenzie had anticipated him and had already explored the Mackenzie River. 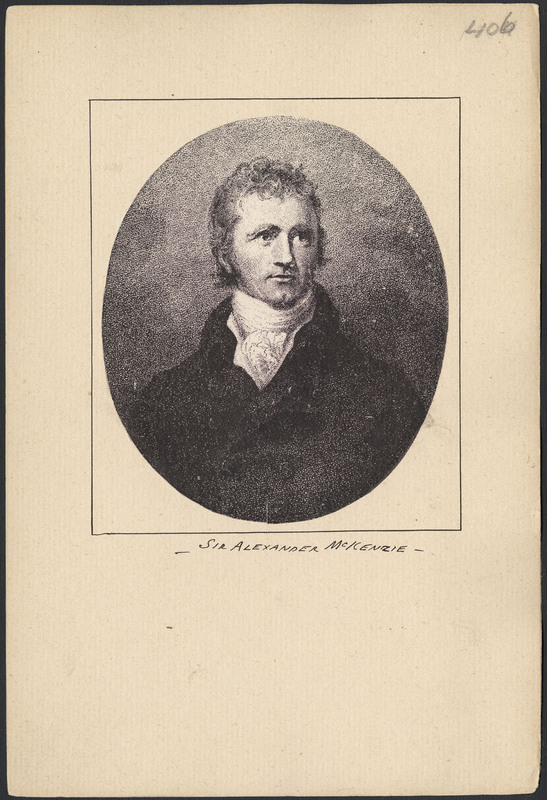 As long as he was active in the fur trade Mackenzie was to continue to advocate some cooperative plan such as he had outlined to Simcoe, but he was diverted from it for a time by the offer of a partnership in McTavish, Frobisher and Company. A decade earlier, Simon McTavish had perceived that a managing agency in Montreal to purchase supplies and market furs would be essential to the success of the NWC, and he had so contrived matters that his firm not only performed these functions but also controlled a majority of the NWC shares. Mackenzie’s partnership became effective in 1795 and each spring he travelled to Grand Portage to attend the annual rendezvous with the wintering partners. By degrees, however, his restless nature began to assert itself. On many points of internal policy he found himself more in sympathy with the wintering partners than with his fellow agents. 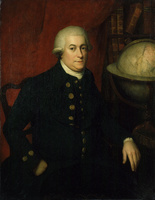 His interest in a broader trading strategy revived, and this led to differences with McTavish; trade handled through Hudson Bay or the Pacific coast would not benefit Montreal, where McTavish’s interests were centred. By 1799 Mackenzie was again in a highly nervous condition, and about the time his partnership expired on 30 Nov. 1799 he left abruptly for England. He had long been anxious to publish an account of his travels, and this became his primary objective in London. His Voyages from Montreal . . . to the Frozen and Pacific oceans was published in December 1801 and attracted wide attention. The journals of the voyages are preceded by a valuable general history of the fur trade; this may have been written in great part by Roderick McKenzie, who had been collecting materials on fur-trade history. The journals themselves were edited for publication by William Combe, a prolific writer who had previously revised the text of the Voyages of John Meares, published in 1790. On 10 Feb. 1802 Mackenzie was knighted, possibly at the instigation of Edward Augustus, Duke of Kent and Strathearn. The single extant letter from the duke to Mackenzie, dated 1 Nov. 1819, indicates that they were on terms of friendship. In the last few pages of his Voyages Mackenzie had again outlined his proposal for cooperation between the NWC, the HBC, and the East India Company. 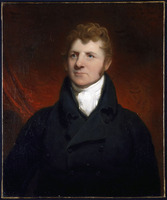 In January 1802 he presented the plan to Lord Hobart, the Colonial secretary. It now included the Pacific coast fisheries, and Mackenzie was thinking of a central establishment at Nootka Sound (B.C.) and two outposts, one to the north and the other to the south. Meanwhile, a complication had arisen. In 1798, before Mackenzie had left Canada, the New North West Company, later known as the XY Company, had formed around the powerful trading partnership of Forsyth, Richardson and Company, and it soon offered the old concern spirited competition. 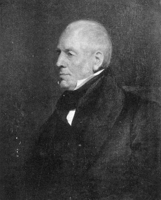 Mackenzie had acquired shares in it as early as 1800, and by 1802 it was sometimes known as Sir Alexander Mackenzie and Company. 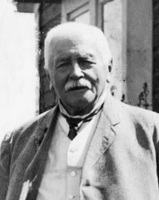 Hobart suggested that the first step toward a wider trading arrangement should be a union of the two companies based on Montreal. Mackenzie returned to Montreal in 1802 to bring this about, but antagonism between Simon McTavish and himself was too great to make union possible. A coalition suddenly became practicable in 1804 when McTavish died. Mackenzie had long been a close friend of McTavish’s nephew and successor, William McGillivray*; for several years in Montreal, when both were bachelors, they shared quarters, and their convivial life was the talk of the town. But although he had many friends and was socially popular, in the trade Mackenzie had evidently come to be considered a trouble-maker, and he was excluded from the new united concern. At a loose end, Mackenzie was persuaded to enter politics. On 16 June 1804 he was elected to represent the county of Huntingdon in the House of Assembly of Lower Canada. 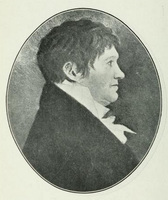 Although he continued to be a member until 1808, he attended only the first session; by January 1805, as he confessed to his cousin Roderick, he was already “heartily tired of Legislation.” He wished sincerely “that those who thought themselves my friends in being the means of getting me to so honorable a situation had been otherwise employed.” He seems not to have taken his responsibilities as a member very seriously, since he went to London in the autumn of 1805 and made only brief visits to Canada thereafter, the last in 1810. The description of the Red River country in Mackenzie’s Voyages is said to have been the first to arouse the interest of Lord Selkirk [Douglas] in the region, and this circumstance may have led to their meeting. In 1808 both men, anxious to influence the HBC but for quite different reasons, began buying the company’s stock. Mackenzie was hoping to exert pressure to secure the use of the Hudson Bay supply route for the Montreal traders; Selkirk was interested in a land grant in the Red River country on which to found a colony. At first relations were cordial, for Mackenzie, it seems, was under the impression that the grant Selkirk was seeking would be modest and would not interfere with the fur trade. When the huge dimensions of the scheme became apparent he and representatives of the NWC did their utmost to prevent the grant’s being made, but it was approved by the HBC’s General Court at the end of May 1811. 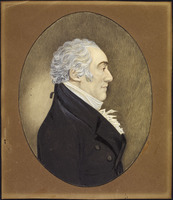 Three months later Mackenzie learned of the failure of another of his efforts to secure official backing for his plan to reorganize the fur trade: a memorandum he had submitted to Viscount Castlereagh, then Colonial secretary, in March 1808 was at last considered by the Privy Council committee for trade in August 1811, and the board declined to take any action. By this time Mackenzie had decided to retire to Scotland. On 12 April 1812 in a letter to Roderick McKenzie he announced his marriage to Geddes Mackenzie, one of the twin daughters of George Mackenzie, a Scot who had prospered in London and had died in 1809. The bride was 14 years of age; Mackenzie was 48. Geddes and her sister had inherited the estate of Avoch, and about the time of his marriage Mackenzie purchased it for £20,000. He and Lady Mackenzie usually spent the season in London and lived the rest of the year at Avoch, where Mackenzie took an interest in local activities and improvements. A daughter was born in 1816, and two sons followed in 1818 and 1819. By the time the sons were born Mackenzie’s health was failing; Bright’s disease appears to have been the most likely cause. In January 1820 he went to Edinburgh to seek medical advice; in March, on the return journey to Avoch, he died unexpectedly in a wayside inn near Dunkeld. Mackenzie’s fame is based solidly upon his two remarkable expeditions, both of which penetrated far into huge areas hitherto unexplored. He was only 29 when he returned from the Pacific in 1793, and the relative ineffectiveness of his activities thereafter made his later career somewhat of an anticlimax. The union of the New North West Company with the NWC in 1804 excluded him from the fur trade in Canada, and Selkirk defeated his attempt to gain control of the HBC in 1811. Only after his death did the newly reconstituted HBC adopt many aspects of his scheme for a continent-wide fur trade. [Mackenzie’s home at Avoch was burned in 1833 and his papers were lost in the fire. He had presented a fair copy of his original journal of the expedition to the Arctic to the Marquess of Buckingham; this is now in BL, Stowe mss 793, ff.1–81. The journal of the second expedition exists only in the version edited by William Combe in the published accounts of Mackenzie’s voyages. The most important surviving item in Mackenzie’s own handwriting is a letterbook copy of 11 letters written from New York in 1798 (PAM, HBCA, F.3/1). Roderick McKenzie received a considerable number of letters from his cousin, but he appears to have destroyed the originals and they now exist only in transcripts (PAC, MG 19, C1), the accuracy of which is frequently doubtful. Copies of other letters are scattered through the collections relating to the fur trade in PAC, MG 19, and AUM, P 58, G1. 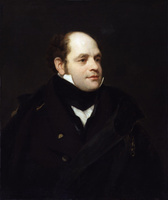 Fortunately the fine portrait of Mackenzie by Sir Thomas Lawrence was saved from the fire at Avoch; it is now in the National Gallery of Canada, Ottawa. 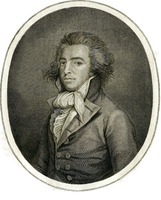 A second portrait is known to have been painted by James Sharples in New York in 1798; presumably it was lost in the fire. 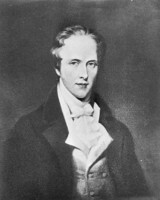 Biographies include the following: Roy Daniells, Alexander Mackenzie and the north west (London, 1969); J. K. Smith, Alexander Mackenzie, explorer: the hero who failed (Toronto and New York, ), a highly critical appraisal; M. S. Wade, Mackenzie of Canada: the life and adventures of Alexander Mackenzie, discoverer (Edinburgh and London, 1927); and [H.] H. Wrong, Sir Alexander Mackenzie, explorer and fur trader (Toronto, 1927). W. Kaye Lamb, “MACKENZIE, Sir ALEXANDER,” in Dictionary of Canadian Biography, vol. 5, University of Toronto/Université Laval, 2003–, accessed April 22, 2019, http://www.biographi.ca/en/bio/mackenzie_alexander_5E.html.